Grete Jalk (1920-2005) studied under Kaare Klint and many of her designs are conventional with much of her furniture made by France & Son and by P Jeppesen. The plywood chair, designed in the early 1960s, is unique or almost unique for it is usually paired with side tables of a similar form that came in three sizes and marketed as a nest of tables. It sounds like a simple concept to design a chair in shaped and folded laminated wood that has just two pieces - one for a slightly curved seat - with the ends bent under and down to support the seat - and the second piece gently curved to form an almost vertical back rest - with the ends tucked around behind and then bent down to the ground - and with the two pieces bolted together. In reality the folds are complex and the plywood shapes look more like something that could only be made from giant sheets of pasta left to dry. Because of the complexity of the design originally only 300 were made although the chair is now back in production. 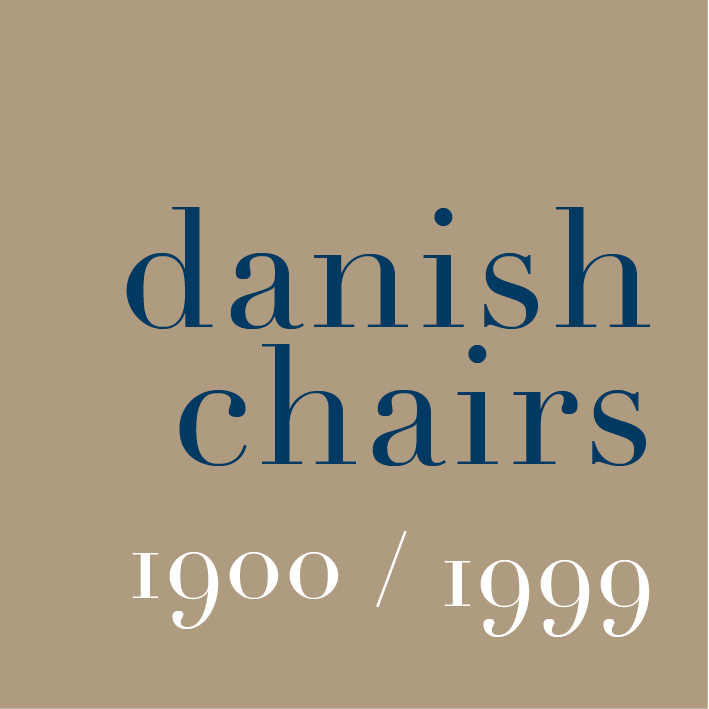 This is perhaps the most imaginative and unusual chair produced during the classic period for modern Danish furniture and shows how materials and techniques of working with wood could be pushed to new limits to create very new types of chair.